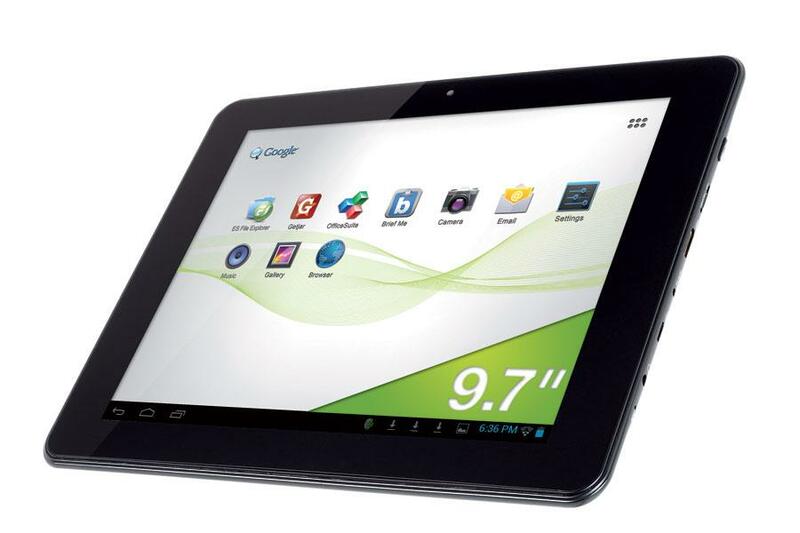 This SlidePad NG 9716 tablet features a 10 inch screen similar to the iPad, and IPS display with wide viewing angles. It is, however, devoid of Google services. Equipped with a processor and a decent screen, this tablet Memup is cheap but unfortunately disappointing on many points. Memup SlidePad NG 9716 DC is well equipped with IPS LCD technology providing better viewing angles, and a dual processor 1.2 GHz processor. A less than 250 euros, this configuration was still unlikely few months ago. This is not the most beautiful of its kind. Its plastic gray anthracite is its entry-level status, especially as the finish is quite rough. In some places, the joints seem hewn with an ax and are therefore likely to accumulate dust over time. 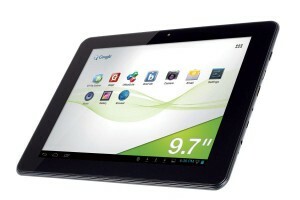 The SlidePad NG 9716 tablet adopts a 4:3 similar to the iPad. This form is, in our opinion, easier to pick up than 16:9. Attention, NG 9716 DC is heavier than the weight recorded. It does not weigh 580 g, 612 g, but (which is lighter than the iPad). Despite the poor quality of its finish, this SlidePad NG 9716 tablet has a material acceptable for the price. Its screen is of good quality. Its IPS (In-Plane Switching) has good viewing angles and good image quality, with a contrast ratio of 1301:1 in our probe. But beware, there is a definition for an entry level tablet 10 inches (1024 pixels by 768). In addition, the brightness of the backlight of the screen is too small to provide good visibility outdoors (261 cd / m²). This tablet SlidePad NG 9716 DC is running with the system Android 4.0.4, but it doesn’t have Google services. No customer Gmail, Maps mapping not, and especially not Google Play application store. That’s what almost all interest deletes an Android tablet. It will simply download service from GetJar application to add applications to the tab. A service provided much less and less well developed than Google Play. In principle, an update available on the official website of Memup to install a system with Google Play. We installed it and have not been able to download Gmail for Google services (and other applications independent of market). HDMI output device (1080p) works, but completely disrupts the touch control screen, making it very difficult to use the tablet. Videos projected on a 1080p TV is not with perfect fluidity. The videos recorded by the sensor pad are appalling: 640 by 480 pixels, encoded wrong, and not smooth (21 fps). The pictures do much better. The video playback software integrated into the device, however, very convenient, it reads all formats and supports subtitles. This SlidePad NG 9716 suffers being classic entry level tablet: the software part is sloppy. Hopefully it will improve with an update. For now, we recommend instead JMI Tab, much more careful, for 30 euros more. This was all regarding the SlidePad NG 9716 tablet.